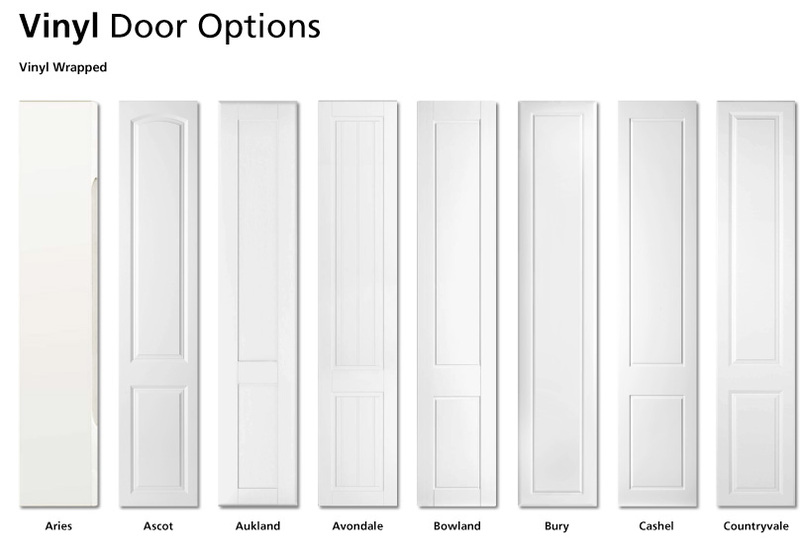 There is a wide choice of sliding or hinged doors, made to measure. 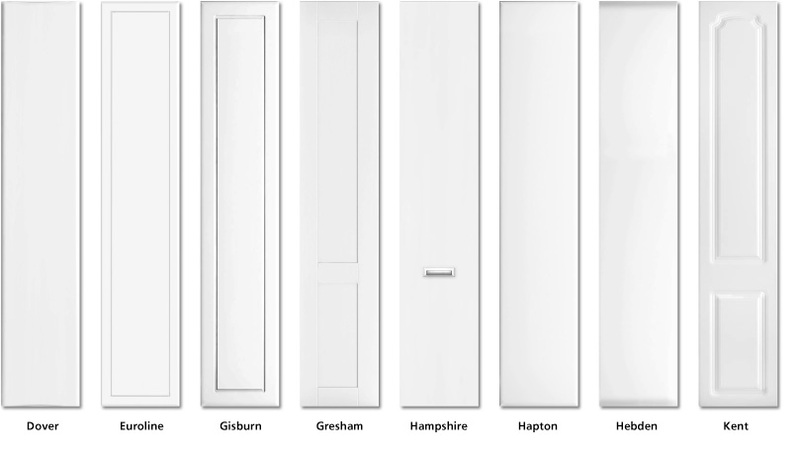 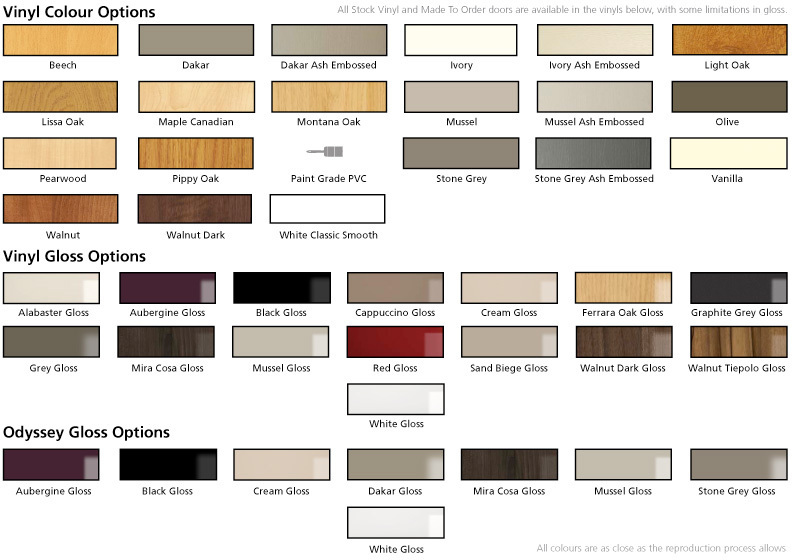 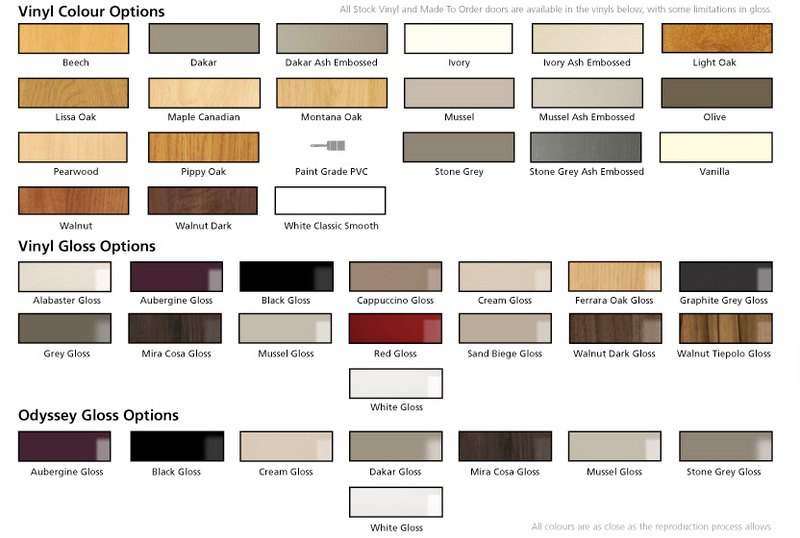 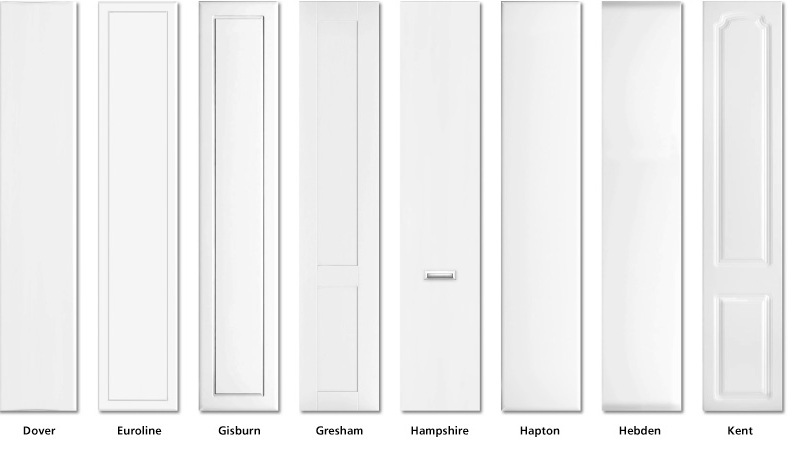 Our doors come in a variety of styles, colours and finishes. 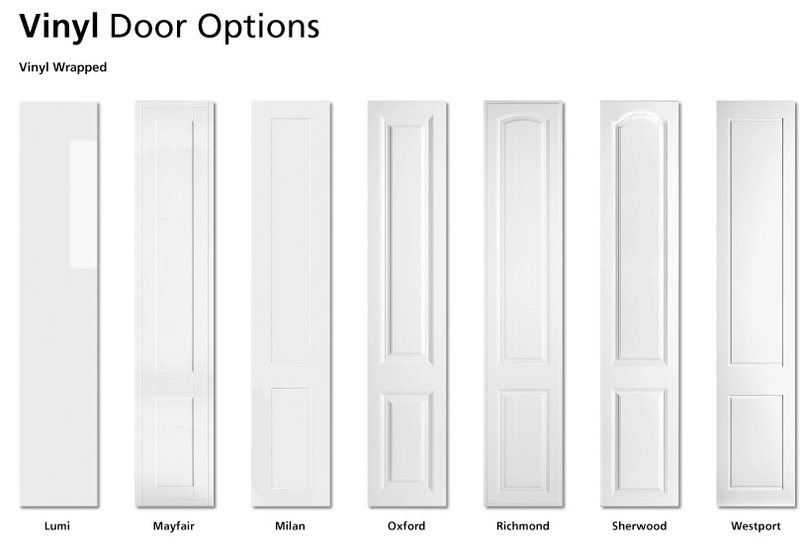 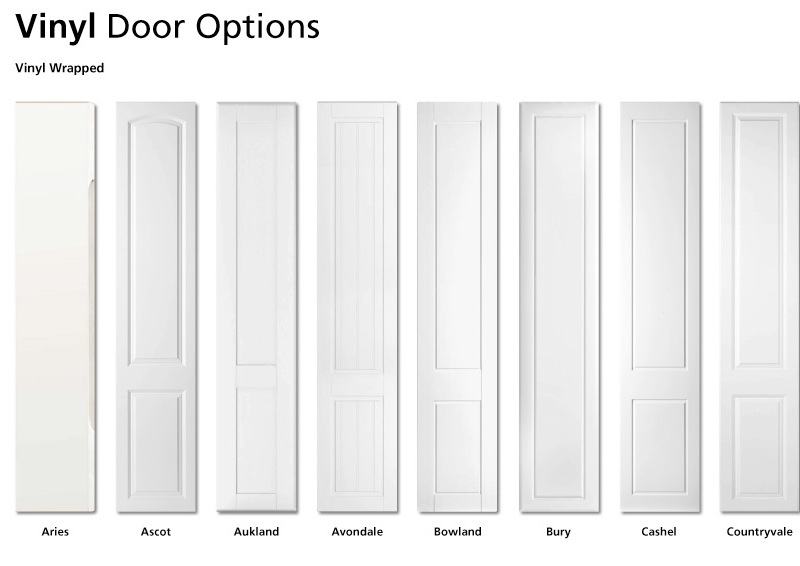 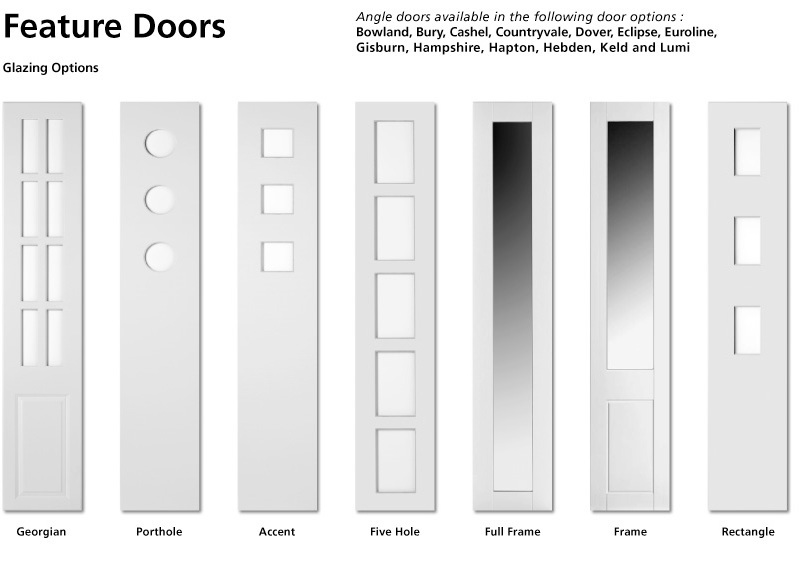 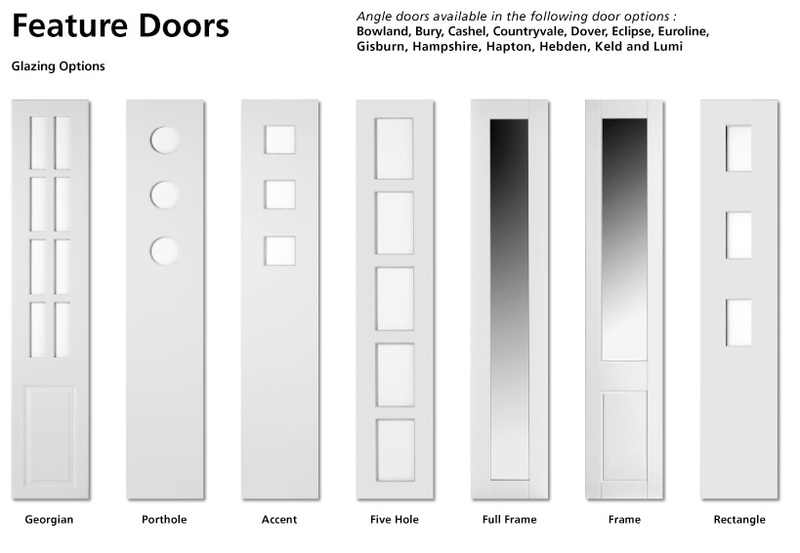 Please see the pictures opposite for a selection of styles available from our furniture door range. 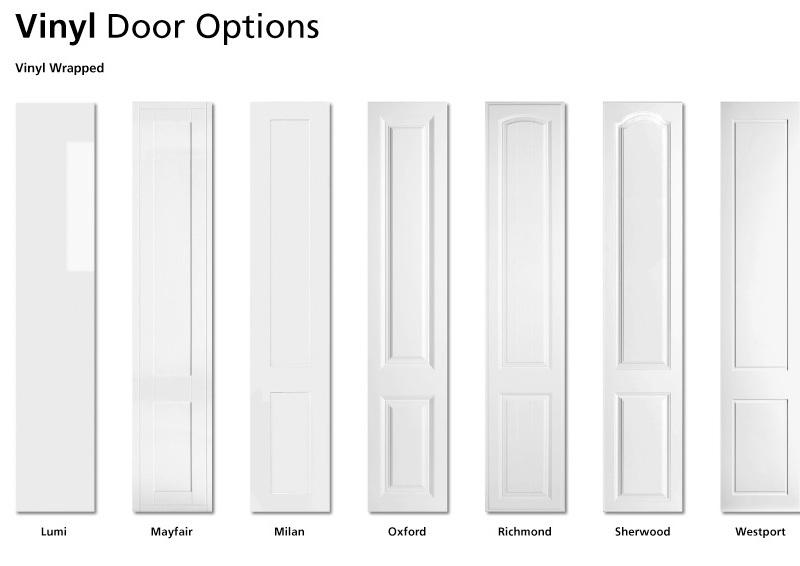 Our range is designed to suit all tastes and budgets.